1. Determine which network(s) are right for your business. Pinterest – Just Because Everyone Else Is Doing It Doesn’t Mean You Should Too. Twitter – Is that enough characters for you to really say anything? Facebook – Does your Mom really care about your weekly special? 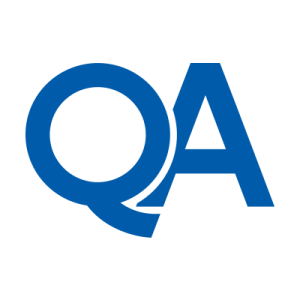 LinkedIn – Is anyone using this? Google Plus – Do you need another social network? PRO TIP: If you have a physical product that is very visual in nature or that has attractive packaging Pinterest may be right for you. If your specials come and go very quickly and you have a fast and active customer base then Twitter away. Google Plus and LinkedIn are great for B2B types. And G+ has some killer features that the others lack. And Facebook is good for … um … some businesses I guess? Just kidding. The single most active demographic on Facebook is stay at home Moms. If that’s your target, go for it. Otherwise, people mostly use FB to stay connected with friends and family – more so than the other social networks. With that in mind, would you really be trying to sell stuff at a family reunion? If your business actually would benefit from that, then go for it. But for most, FB isn’t really the way to go. Once you have found a medium that works well with your business, then push it! Post often. But don’t post garbage. Your customers don’t care if you have a hankerin’ for ice cream (one of the most popular “tweets”). Killer, viral, shareable content is something that takes a dose of inspiration, a touch of creative ability, and a knack for knowing your audience. Example: SEOmoz has a fantastic beginners guide to SEO. Their audience is people aspiring to be SEO professionals. You can download it at their site in PDF format, or browse through it online. It is presented with beautiful graphics (no doubt professionally created), a bit of humour, and easy to understand terms. Perfection! Let’s say you have a dog grooming business. You drive a van to peoples homes and shave their poodles and such. Is viral internet marketing something that would work for you? You could create a simple infographic type download that offers 3 tips to keep dogs safe in flea and tick season… or something like that. Something that your target customer (people who care about their dogs) could benefit from, use again and again, and would want to share with others. a sudden you are an expert in pet care. People call you you every hour for the rest of your life and shower you with riches. make sure it is of REAL VALUE, and for the love of all that matters – BRAND IT! Put your name, number, website, social site, anything you can that will help people connect with you somewhere in this resource. Otherwise, it won’t matter! I hope you see the point here. There is a nearly infinite amount of junk floating around out there. Give your people something that is not junk, and they will thank you for it. Most people don’t like be told what to do … unless they are lost and looking for help. You know all those studies about how you only have a few seconds to capture attention on the web? Well that’s true, unless with those few seconds you have told your visitors that they are in the right place and you have what they need and show them how to get it – then they will stick around to read what you have to say. If you add a link to something you share, make sure the page they land on tells them exactly what to do, where to go,and that they are in exactly the right place. This will keep them from just bouncing away. When you share, post, like, plus, tweet, or whatever … make sure it is something they can benefit from NOW. The whole internet culture is largely based on instant gratification. I know I could drive to Best Buy and purchase a CD by my favorite band, but why would I? I can just pull up iTunes and get it NOW. Make sure they can get some sort of benefit from what you share ASAP. Did you know you can search through Tweets? Sure you did, and twitter isn’t the only one. Use those search functions to find out what people are saying about you. No one is perfect, so if you mess up, OWN IT. Turn a bad customer experience into an AMAZING experience. Turn a mad customer into a customer for life. There are plenty of articles on this so I won’t go into it here, but that is one of the most amazing aspects of social media. People will talk ten times more about a bad experience than they will about a good or normal one. Use that public forum to make it right and show you care. That is impressive and will directly affect your bottom line. 6. Be a back scratcher. Don’t be afraid to “like” and share other peoples content. This will get you more fans and followers and can connect you to other peoples tribes. If you have ten friends, and another guy has ten friends, if you share something the other guy did and make a nice comment about it, his followers see it and suddenly your audience grew from ten to twenty. If they don’t become real fans or followers, at least they were exposed to your brand for that day. Do it 3 times and they are exponentially more likely to purchase from you in the future. To be really engaged in the social realm, you have to set aside time for it. Part of this time is posting, and part is listening as mentioned above. But don’t just listen and wait for your name to come up, you should be doing that anyway. Also listen for things that you are an expert in and can lend a helping hand with. Back to the mobile dog washing example, you could regularly search for things in your home area related to pets or dogs and every so often something will come up that you can offer genuine help with. Boom! Again you get brand exposure, you are established as an expert, and more than that you are lending a helping hand. Who doesn’t like that? Everyone likes a little wit, but who really likes a clown? Be clever but not irritating. It’s a fine line to walk, but you can do it. This applies to pictures, article content, and especially headlines. This applies to all the networks, but the shiny new toy is of course Pinterest. We’ve all seen a picture of a poodle. We might not have all seen a picture of a poodle with a pink mohawk. Wow, now I really want to see one. Then post in on Pinterest! If it’s interesting enough, people will share it with their friends, family, and followers. Every last one of them will see your website address and whether they go to it or not, they will have at least been made aware of your brand. You want to make it even more effective? Use a SPECIFIC URL targeted for visitors from that image. Like “http://somesite . com/pink-poodle” Then when they visit that specific page, they will be greeted with the same picture and other pictures from your little photo shoot. Then it’s up to you to turn them into CASH. Why not offer a downloadable coupon with the poodle on it for 10% off their next service? Or what about a big button that says “Your pet could be the next contest winner …” ? Anything to keep your visitor engaged with you, and that provides them with value. it’s your business, you know what your people like. Why am I in this industry? What do others find interesting about this industry? What might others like to learn about what I do? If you can answer those questions, you are well on your way. I think you know. And it goes beyond the headline. If they click the link and it has nothing to do with your flavorful description, they will bounce back out quicker than a mouse that ran into a room full of cats. Don’t let your customers down. Be outstanding. Be relevant. Be incredible. It’s easier said than done, but with just a little planning you can set yourself apart from your competition with the amazing power of social media. And do it on the network that’s right for you. You can solve problems (yours and your customers). You can offer real value to people and at the same time establish yourself as the go-to guy or girl in your industry. And you can have fun doing it! Just don’t spend too much time in the social networks. They are designed like an ancient Greek labyrinth, to keep you twisting ever inward and make it tough to get out. So set yourself time limits and have real goals in mind before you start, then you will truly be able to leverage social media as a business tool. Remember, Rome wasn’t built in a day. You probably wont catapult into internet stardom with your first attempt. Don’t be afraid to try and fail a few times. Stick with it, learn from it, ask for advice, and it will pay off. People succeed everyday, and you can too! 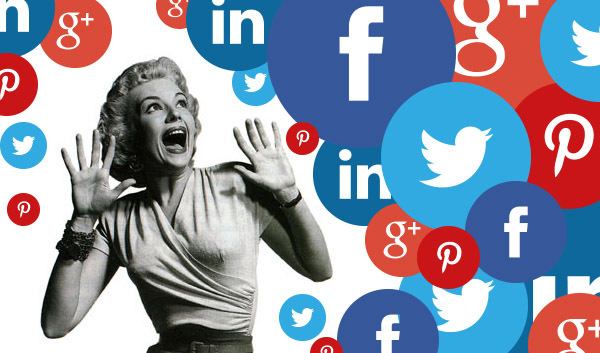 In this article, I shall share various Social media activities which you might want to use in order to enhance your presence on social networks and at the same time connect with like minded people and search for new clients on social platforms like Facebook, Twitter and more. One of the quickest ways to kick-start your socializing would be create a blog and share it with at least everyone you know like your friends, relatives, colleagues. 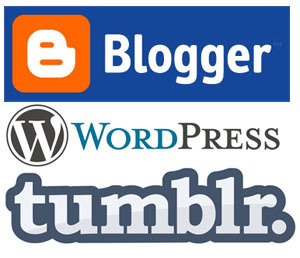 After this you may want to share your blogs with netizens. Thus, share info, views on a subject you are fond of. Where to create Free Blogs? 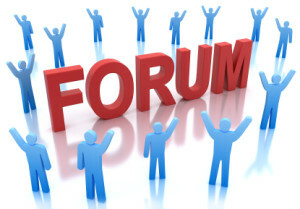 Participate in Forums for Free! If you want to advertise your URL on internet in a sensible manner while it doesn’t look like an advertisement, you could create new meaningful topics in forums while post useful information in other’s topics. You must have features on your website so that visitors can bookmark your website URL in their favorite bookmark website. Thus, making tagging easier will make visitors return to your website more often. Another way to get attention of internet community would be to post a decent video tutorial at YouTube. Its like submitting an article and helping people all over the world. This is one of the most excellent methods you would always want to use. Not only one should get decent link popularity from articles, but you also contribute to your area of specialty by sharing expert information with the world. We have a dedicated team of 5 employess who can promote your website URL on social networking sites. In other words we can submit your website URL to social bookmark websites with 100% unique titles. We shall require about 24-48 hrs to complete this order. At the end of the campaign you shall get detail report for each backlink.